Some of his election campaign team members told News24 that there were rumours that Ramaphosa may not be well received in Seshego. Ramaphosa, who is also the president of South Africa, spent the whole day moving from one section of the sprawling neighbourhood outside Polokwane to another where he held open air rallies and conducted door-to-door visits. He also met with traditional leaders and elderly people. It was Ramaphosa's fourth visit to the province where other political parties have also unleashed their heavyweights to garner votes. His first door-to-door campaign and address to community members was at Zone 1 (Ward 13) which was won by the EFF in the 2016 local government elections. The ward is also the home of EFF leader Julius Malema. In his address, Ramaphosa told the crowd that the ANC does not distribute gifts to people in exchange for votes. Instead the party is judged on the basis of its track record since taking power in the first democratic elections in 1994. He said there was no other party with the same governance experience like the ANC. Ramaphosa acknowledged that the party made mistakes in the past but he said it was on the path to correct to them. "Yes, there were mistakes on the way, but we did serve the people. Today, a lot of people can see that the South Africa we live in currently is no longer the same than the old one. Those who can’t see that are blind," he said. On government corruption, Ramaphosa said: “Over the past month, you may have heard of people who have stolen money from government. This is the practice we need to put to an end. His message may have been received well by the crowd, but he met a challenge when he later addressed the elderly people at a local sports complex over electricity and water tariffs. The elderly people loudly voiced their disagreement when he mentioned that the Polokwane municipality had drastically cut tariffs for the elderly and the indigent. 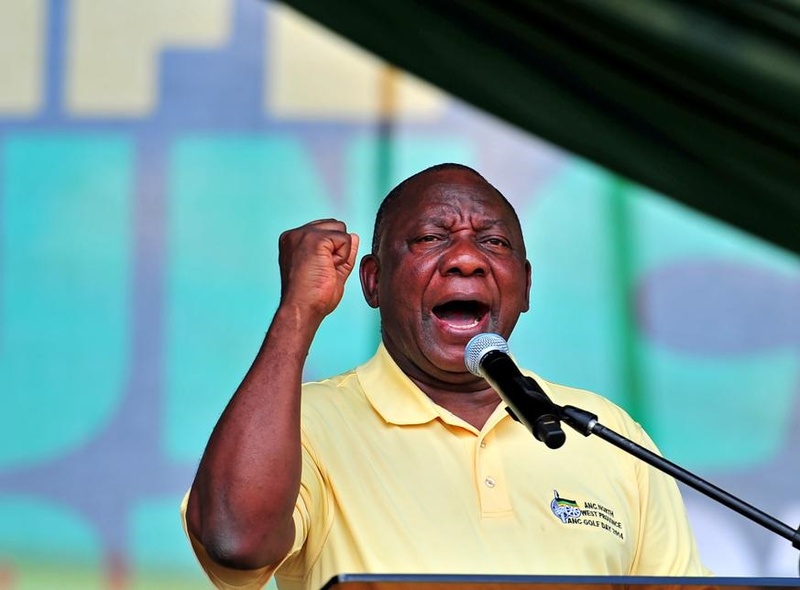 Ramaphosa quickly responded, saying that the municipality would do its best to work on the issue of tariffs or ‘otherwise a whip will crack”. “I can hear you disagree, but municipalities are working very hard. Municipal work is even harder than the one of the president [of the country],” he said.